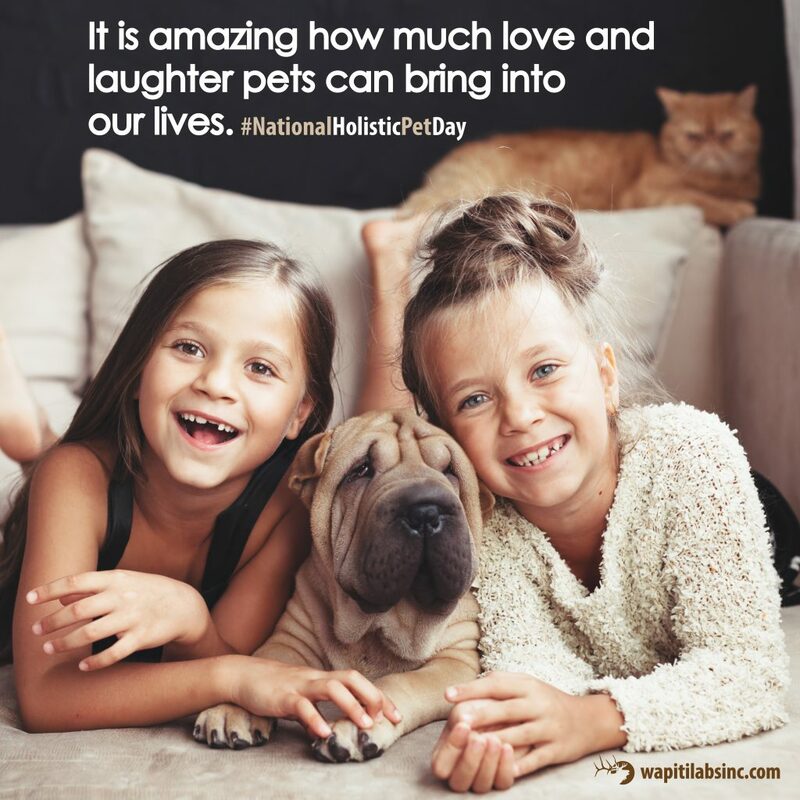 August 30th is special day to highlight the importance of whole pet health. Here are some easy steps to include a holistic approach to daily pet health.. Exercise: Play with your cat, walk or run with your dog, get active with them! Lack of activity can develop into physical and emotional health problems for dogs and cats (and humans). Diet: Overfeeding your pet leads to being overweight which can lead into health issues. Provide your pet the best diet you can afford. The more natural diet you can provide the better. Avoid foods with animal by-products and chemical preservatives. Supplements: Supplements are one way to ensure your pet is getting the necessary nutrients it needs. Keep your pets healthy and happy with natural supplements. Support your pets Hips, Joints, Immune System, Kidneys, Liver, Stamina and Endurance with a daily supplement. Visit www.wapitilabsinc.com for more information on our daily supplements. Avoid Exposure to Toxins: Dogs and cats lie on furniture, carpets and grass. Avoid using chemical lawn products (pesticides) and try to use natural home cleaning products. Make your pet an important part of your families life. The affection you show your pet supports their physical health, and yours.